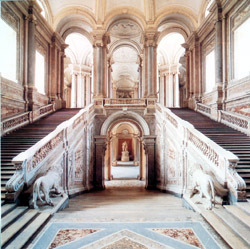 FOR THE CLOSING OF THE ROYAL PALACE OF CASERTA AND THE SAN CARLO THEATER, THIS TOUR DOES NOT TAKE PLACE ON SUNDAY AND ON TUESDAY. When Charles of Bourbon became king of Naples in 1734, the city could not perform the functions of a capital city of European rank. The Spanish viceroyalty had planned a very restrictive development of the city. Therefore, the age of the Bourbon kings from the beginning is characterized by the arrival of artists from all over Italy from abroad. 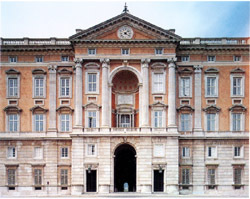 The Bourbon king opened the Royal Factory of Tapestries, arms, steel, Capodimonte porcelain, ceramics, silks of San Leucio, etc.. In 1751 Charles of Bourbon called from Rome to his court Ferdinando Fuga and Luigi Vanvitelli. 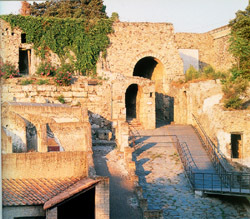 The architect Fuga created in Naples, "the hotel of the Poor people" (to accommodate the many farmers out of work), the Royal Barns and porcelain factory of Naples. 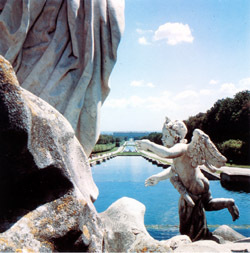 Vanvitelli built the Royal Palace of Caserta, the Foro Carolino (Dante Square) and the Bourbon aqueduct. 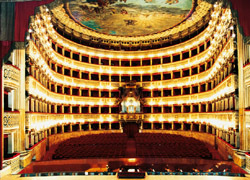 For the new capital in 1737 The Bourbon kings built the San Carlo Theater. 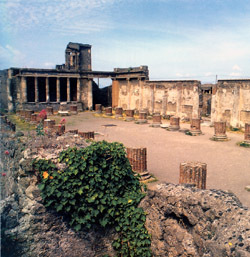 Meanwhile, this enlightened dynasty began excavations at Herculaneum in 1738, the excavations of Pompeii in 1748, the ruins of Paestum in 1752, and so on.